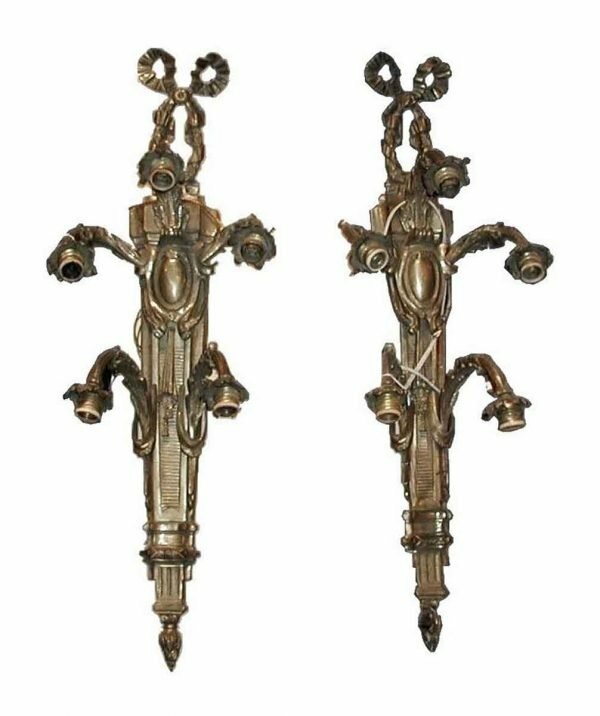 Ribbon wall sconces with five arms. Sold as a pair. Sold as is. Please inquire a quote for cleaning and rewiring.